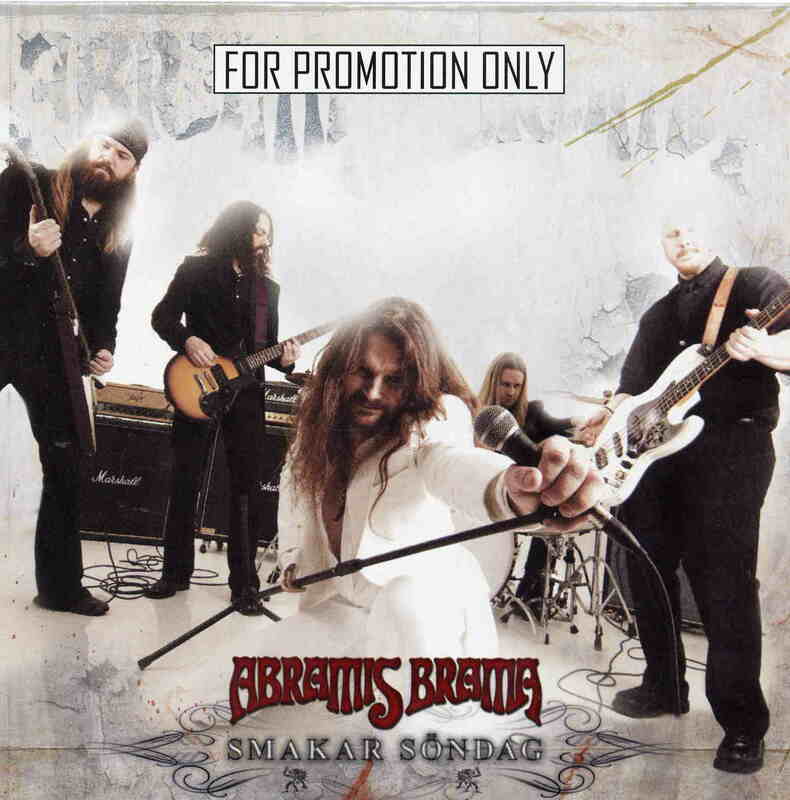 The Stockholm Sweden based 70’s rock band, Abramis Brama are back after a 4 year break since their last studio record. In the meantime, they have a new drummer and have added a second guitar player. The band are very inspired by the Swedish band November and also sing in Swedish. The CD begins with Kylan kommer Inifrån, which is an uptempo rocker with some nice jamming at the end of the track as well. Sista Morgan is a slower track to start, with a nice heavy riff, before a more bluesy aspect comes into play. I really like the dual guitar parts in this track. Smakar Söndag is a short 3 minute down and dirty rocker until the saxophone kicks in to add an unexpected twist. N.E.J. is an acoustic like backwoods track you might hear some one playing while sitting out by the lake somewhere in Sweden. Långsamt, has a boogie rock quality to it with a harder edged stoner rock edge. Another great track with some good guitar interplay. Vägskål, starts slowly with just bass and drums, and it slowly builds as the vocals just grow in intensity and then the guitars kick in. Enkel Resa is one of the more catchy groove tracks. Med ont Försåt, starts slowly with just guitar and then the bass slowly builds into the melody. In this nearly 10 minute epic hard rock song, which reminds me of the November song Mount Everest. Great number. Öga för öga, is great rock track, firmly rooted in the 70s. Förbjuden Frukt and the uptempo hard rocker Kommer hem end this excellent record. What a come back record. This is probably their best ever as I am really a fan of the added second guitarist, even though they still have relatively few guitar solos for a band with two guitar players. Great stuff..